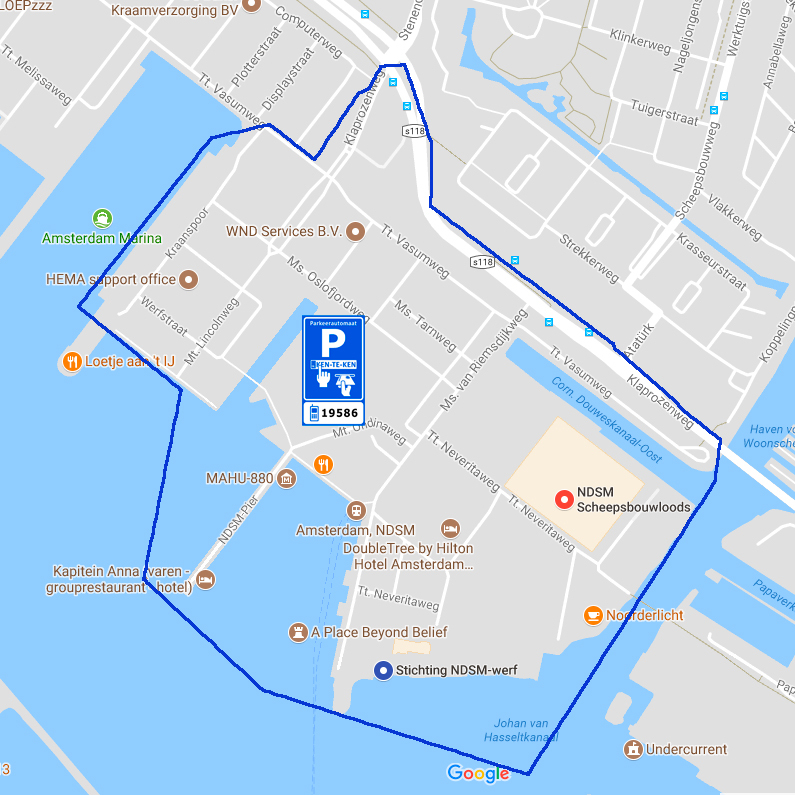 Parking costs € 1.30 per hour on the NDSM terrain (See map). You can pay at the parking meter with debit card or via apps like Yellowbrick / Parkline (parking codes 19586/19587). 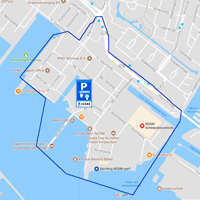 On the NDSM site, paid parking applies from Monday through Sunday from 9 am to 11 pm. (from February 25th 2018 it will be until 7pm.). You can buy a parkingcard online for 1 day/evening, 1 week or 1 month. More information on the site of the city of Amsterdam (in Dutch): Parking rates Amsterdam. From july 2018 more areas in Amsterdam North will be paid parking. You can plan your route by car, public transport, bicycle etc. directly in Google Maps above. 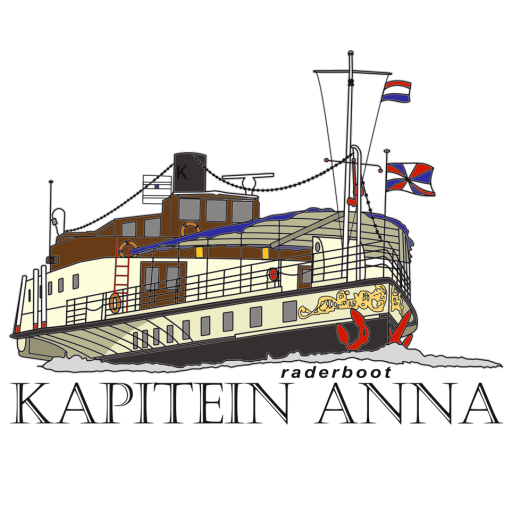 There is a ferry (direction NDSM-werf) from Centraal Station and from the Houthaven (Tasmanstraat). Friday and Saturday the West-Ferry sails as well.